Reviewing Medical Records in a Potential Medical Malpractice Claim based on a chapter by Peter Berge Esq. Once medical records are in hand, someone has to review them. Who should review them, and in what sequence, depends on numerous factors. In the case of a plaintiff’s attorney, if the attorney has a solid knowledge of the medical issues involved in the case, and particularly when the records are not voluminous, it may make sense for the attorney to initially assess the records. If the attorney has managed several similar claims and is well-versed in the subject matter, the initial evaluation may be all that is needed to determine whether to send the records directly to a testifying expert. Defense counsel or risk management personnel presented with a claim would be well-served by familiarizing themselves with the records prior to sending them out to an expert or consultant. 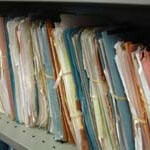 Even when an attorney has in-depth knowledge of the medical and legal issues involved in a claim, the volume of the records in relation to the attorney’s work load may dictate that a legal nurse consultant (LNC) conduct an initial review, organize the records, create a time line and summarize the issues. Likewise, if the attorney is not very knowledgeable about the medicine involved, it is helpful to have an LNC review the material, perform any medical research needed, and provide a report and recommendation to the attorney. Aside from saving the attorney numerous hours in review and research, this approach has the benefit of readying the records for review by a medical expert. With the records already organized and summarized, the expert or experts may be able to review the material more efficiently, providing some savings to the attorney and client.